New York! New York! NGV MoMa at NGV International. Here it is, our own little slice of The Big Apple right here in Melbourne. New York! New York! for Kids at the National Gallery of Victoria (NGV) celebrates the highly-anticipated Melbourne Winter Masterpieces exhibition MoMA at NGV: 130 Years of Modern and Contemporary Art. 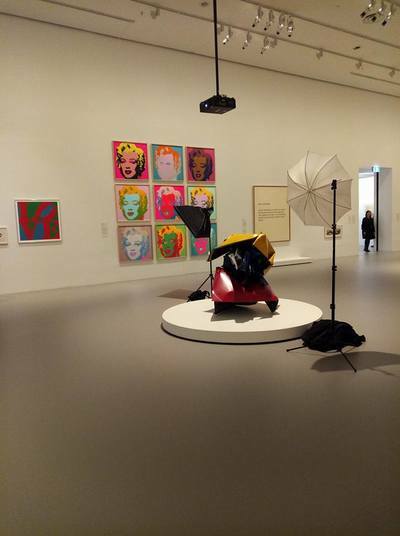 MoMA at NGV features 200 pieces of iconic artworks from the Museum of Modern Art in NY. Artworks include pieces by: Vincent van Gogh, Pablo Picasso, Andy Warhol, Salvador Dalí, Frida Kahlo and lots more, which are "on loan" from the Museum of Modern Art and will be displayed right here in our beloved Melbourne until October. 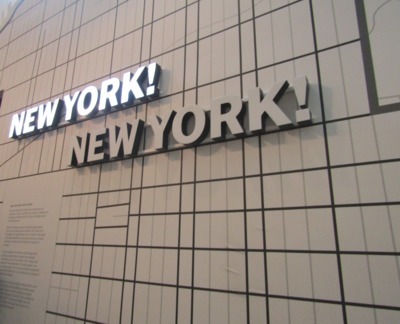 New York City – home of MoMA and recognised as a leading cultural destination. 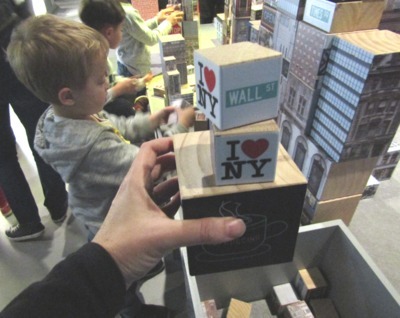 The interactive display features 100s of blocks for children to build a pretend New York skyline. 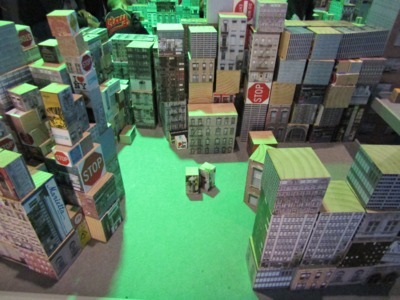 There's cute little Broadway blocks, traffic & subway signs, street names and more. There's also a large marble run type activity for kids to roll giant balls through the skyscrapers of a minature New York City. 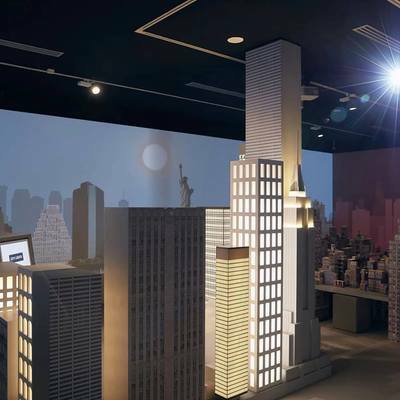 Changing night & day scenes of The Big Apple are projected onto all four walls of New York! New York! 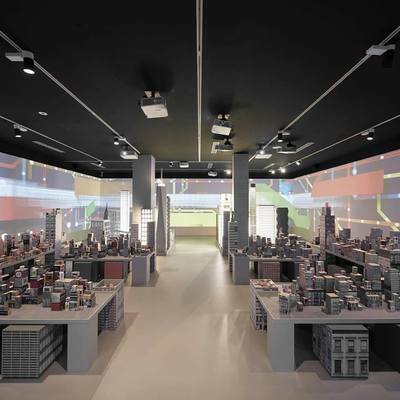 for Kids', which adds to the city feel of the gallery space. 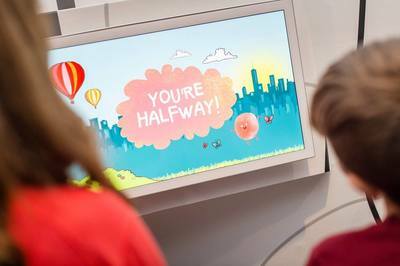 Tech savvy kids can test their NY knowledge playing on a number of iPad stations set up with custom-designed interactive games. New York! New York! 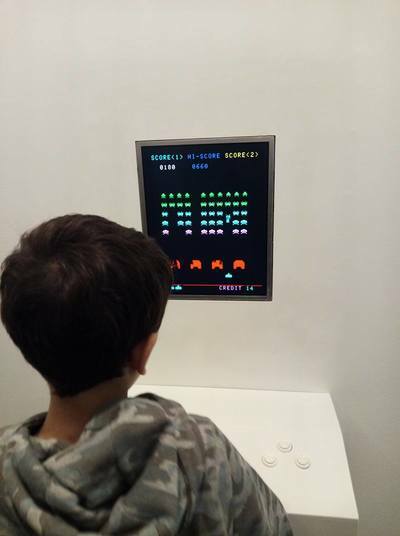 for Kids is a completely free exhibition, found in the NGV Kids gallery on the Ground Floor, located down the corridor on the right hand side after the cloakroom as you walk in. 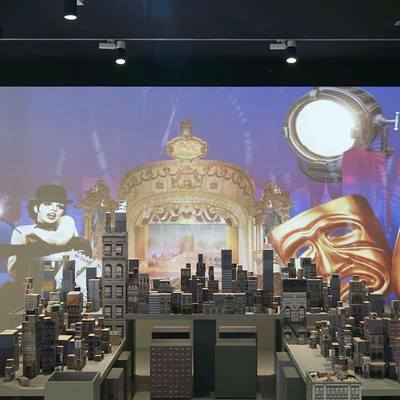 For a take-home memory, pose for a photography against a New York backdrop in the NGV's fun custom-designed photobooth. Send your favourite photo to yourselves via email. New York! New York! will keep children busy for a little while, an hour at least! While visiting, why not take your children through MoMA to see some of the world's greatest pieces of artwork now on display in Melbourne until October. 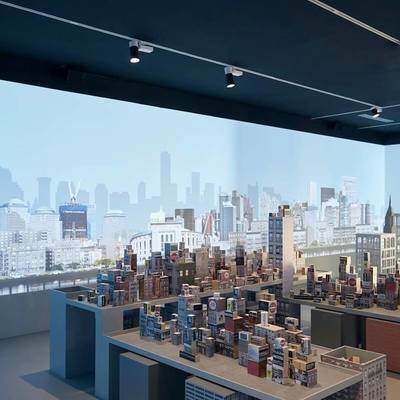 If you can't get to The Big Apple, NGV MoMA & New York! New York! is your next best option!